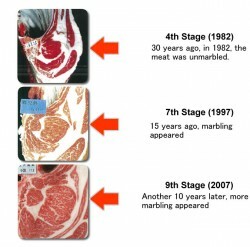 The most important characteristic is the high quality of the meat – fine muscle fiber and superior marbling. 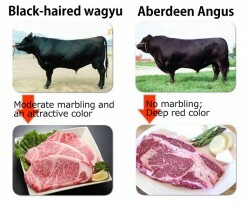 Kagoshima was one of the earliest in the nation to establish a breeding test site, and since then we have been selecting breeding bulls for many decades in order to improve our Kagoshima Wagyu cattle. 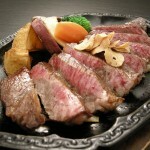 One secret of Kagoshima Wagyu’s great taste is the existence of these breeding bulls which yield delicious meat. 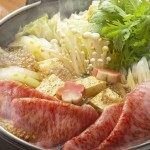 primal,even meat on the dinning table to be traceable. At the dressed carcass stage, we save a comparison sample of the meat. 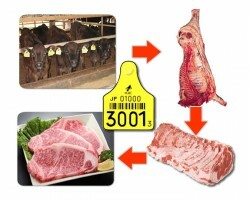 The meat being sold in a store can then be verified through DNA testing. The production data of cattle from birth to slaughter are recorded in order to be traced back in case of something happen. 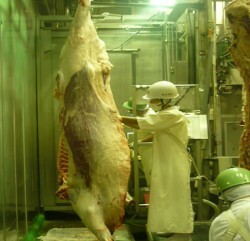 A meat inspector (veterinarian) conducts an inspection for residual innards on all cows , antibiotics Examination of extraction and BSE inspection(more than 48 age of the month) . Only safe beef which has passed these tests will be distributed.